I am not blessed with a great memory like my sister, Linda. She can memorize volumes of text and can recite long passages of poetry. In high school, she took Spanish, German and French in the same semester and earned an A in each class. She can reel off the medicinal properties of plants and the impact on a human body. So in-depth is Linda's knowledge that she sounds as if she is a medical doctor. In fact, we often refer to her as Dr. Townsend when seeking her advice on how to cure whatever might be ailing us. My husband is similar in the way that he can remember conversations with great accuracy. Especially the conversations he has with me, much to my chagrin. His keen memory doesn't seem to work in my favor in personal disagreements. As a couple, we are a prime example that opposites attract. My best friend from high school, Dan is also known as Dan-The-Man. He also answers to his current rank of Lieutenant. That's right... Lieutenant Dan. Upon his promotion, I immediately trotted down the well-worn path of Forrest Gump jokes that littered the gutters of his reality. Dan told me straight-up, with only the slightest hint of his trademark humor, that my jokes were not in any way original. The news did not come as a surprise to me or lessen my enthusiasm for the obviously stupid. I digress. My original point for bringing Dan into the conversation is that Dan remembers things from high school that I do not. He has been downright incredulous with me at times with things I fail to remember. I do remember that he taught me how to drive. And, for that, I will always be grateful. This is why, when I do have a random memory, something that should have been in one memory bank and out the other, but has nevertheless stuck with me through the years, I take note. This particular memory has to do with, yep, you guessed it—Root Beer Marble Ice Cream. Dan took this photo of "young happy me" on the beach in Santa Barbara. In my formative years, I lived in the small California Central Coast town of Solvang. An acquaintance once asked where I grew up, when I responded Solvang, she threw her head back and laughed. When I inquired what was so humorous, she said, "Oh, I thought only elves lived there." I grimace-smiled like my friend Dan does when hearing, yet again, a lame Forrest Gump joke. my elementary school's participation in the annual parade. The ice cream shop was owned by a sweet, elderly couple who always seemed to manage to remember my favorite flavor. They would send me on my way with a smile and two huge scoops in a waffle cone. More often than not, I would sit at the park under the shade of the trees and happily slurp the ice cream and eat the cone until every last tasty bit was consumed. 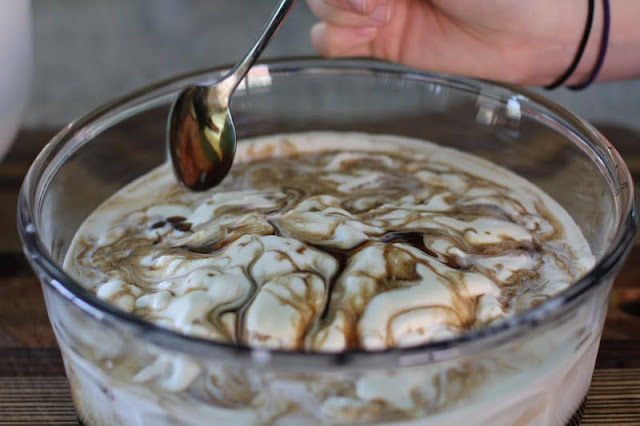 In an attempt to reconstruct this happy experience from my youth, I have searched extensively for a Root Beer Marble Ice Cream recipe without success. No recipes on the internet or in my cookbooks... at least not that I could find. The field has been narrowed to the capable team of me, myself and I to create Root Beer Marble Ice Cream. I will rise to the challenge. 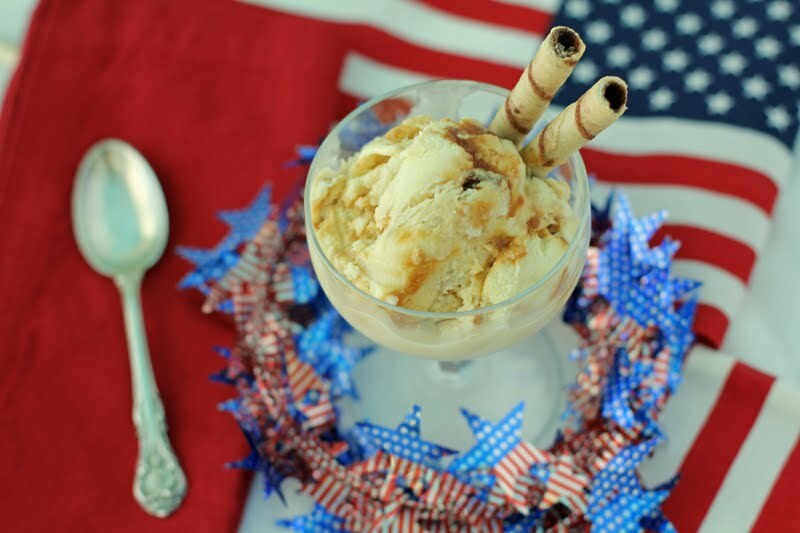 I should perhaps put my skills to something worthy that could really change the world, but hey, Root Beer Marble Ice Cream to celebrate the 4th of July sounds like a good use of time to me. Lofty goal? I think not. It's all about making a syrup, which thanks to Cooks Illustrated, might be as easy as boiling a liter of root beer to a cup of syrup*. 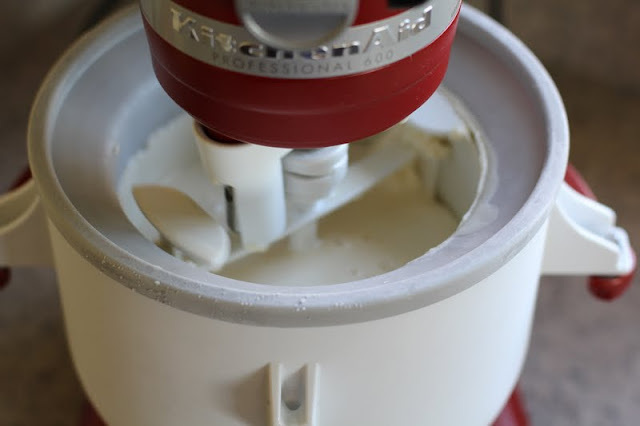 Next, make a really great vanilla ice cream (easy-peasy). Finally, swirl the syrup into the soft homemade ice cream and then harden in the freezer. Instant time machine? I think not, but this time around I get to share a memory in the making with my daughter and husband. At least I hope so. I'll take a picture, just in case I get a little fuzzy on the details. *It's not. I wish it was easy as reducing soda pop to a syrup. My life would have been considerably easier this past month. I started my experiment with Virgil's Root Beer - a tasty brew. 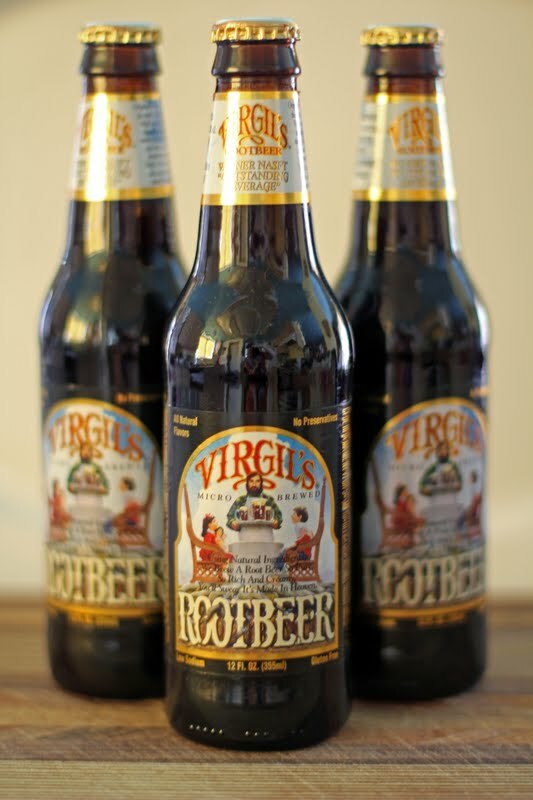 By the time I reduced the excellent root beer to one cup, it tasted like carmelized vanilla with perhaps a faint undertone of root beer. The flavor was considerably better when I added a tablespoon of Blackmaker™ Root Beer Liqueur to the reduced soda pop. Not completely satisfied, I considered my options. 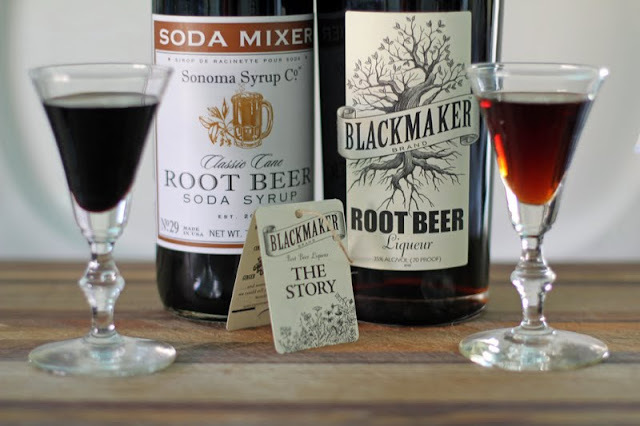 A quick Google search uncovered a Root Beer Syrup made by Sonoma Trading Company and stocked at my local Williams-Sonoma store. I think I might have visibly winced when I shelled out $16 dollars for the syrup. Similar to when, just a few weeks ago when I purchased the Edmond Fallot Dijon Mustard. A small price to pay, I assured myself, in the name of research. The purchased syrup was better than the reduced root beer concoction. To reduce icyness once frozen, I added one tablespoon of the Blackmaker Root Beer Liqueur to one cup of the purchased Root Beer syrup. The next step was to make the vanilla ice cream. My first attempt to add the syrup to the frozen custard would aptly be named Root Beer Float Ice Cream. Not what I was striving for, but delicious all the same. 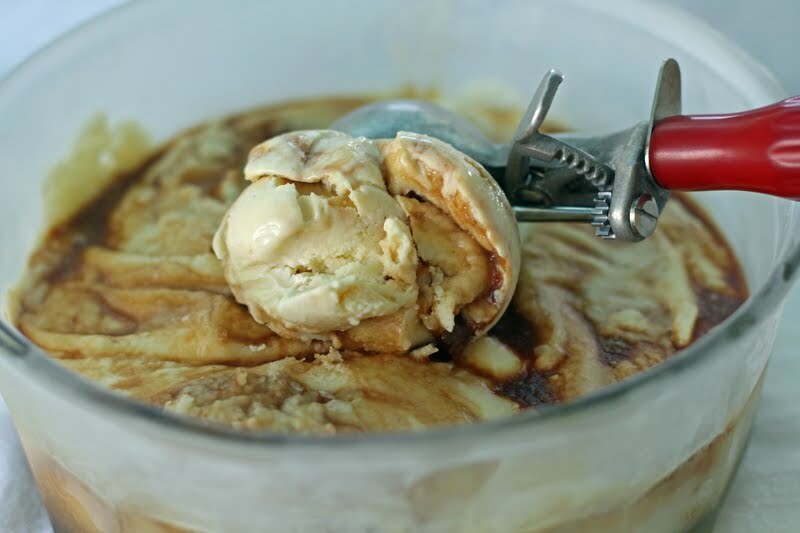 In the final analysis, the "float" occured when the room temperature syrup diffused into the unripened ice cream (see note below). Not content to stop short of my mission of a true marbled ice cream, I resolved to try again. 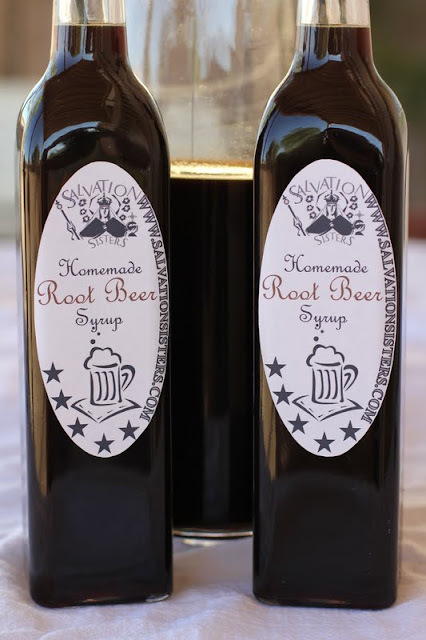 For round two, I decided to make my own syrup based upon reading a terrific Sassafras and Homemade Root Beer blog post by Hank Shaw of Hunter Angler Gardener Cook. There are no Sassafras trees in my neck of the woods, err... barren desert that is, but I can purchase just about anything I desire at Amazon.com. A quick search yielded Sassafras Root Bark, Cut and Sifted Burdock Root, and Wintergreen extract. The rest of the ingredients were lounging in my spice cabinet or readily available at my local grocery store. I decided that I would follow Hank's recipe and add-in one crushed whole nutmeg to the "tea" ingredients and then a touch of vanilla paste to make the syrup my own. 1. Prepare root beer syrup, if preparing at home. 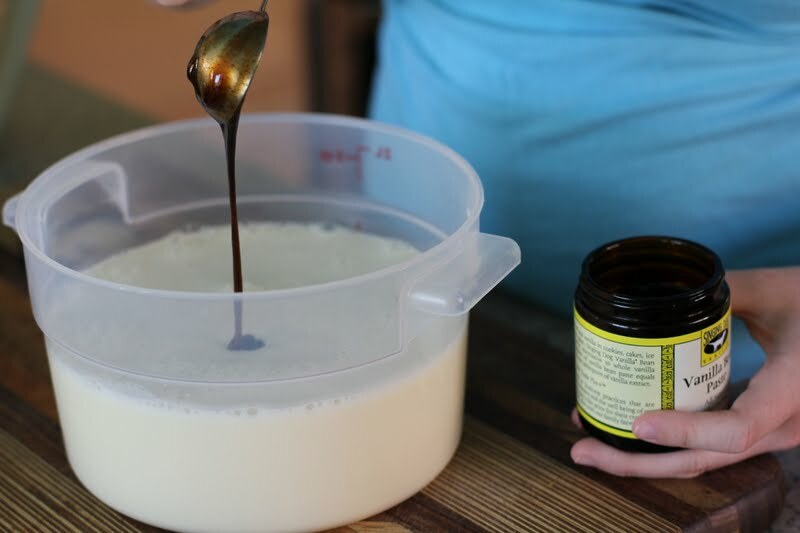 Store the syrup in a glass container in the refrigerator. Accoring to Hank, the syrup will last in the refrigerator for one year. Combine 1 cup syrup with 1 tablespoon Blackmaker Root Beer Liqueur. The liqueur will reduce icyness when the syrup is frozen. 2. For the vanilla ice cream base: In a stainless steel saucepan, over medium heat, heat the whipping cream until almost scalded. Meanwhile, in a separate bowl, whip eggs until blended and frothy. Add sugar to whipping cream and stir until dissolved, about 2 to 3 minutes. Remove pan from heat. 3. Slowly add about one cup of the hot sugar-cream mixture to the eggs while whisking quickly to incorporate. Then add the egg mixture to the saucepan. Whisking constantly, cook again over medium heat for about 5 minutes until hot and slightly thickened. Turn off heat. Stir in the half and half to cool the mixture. 4. 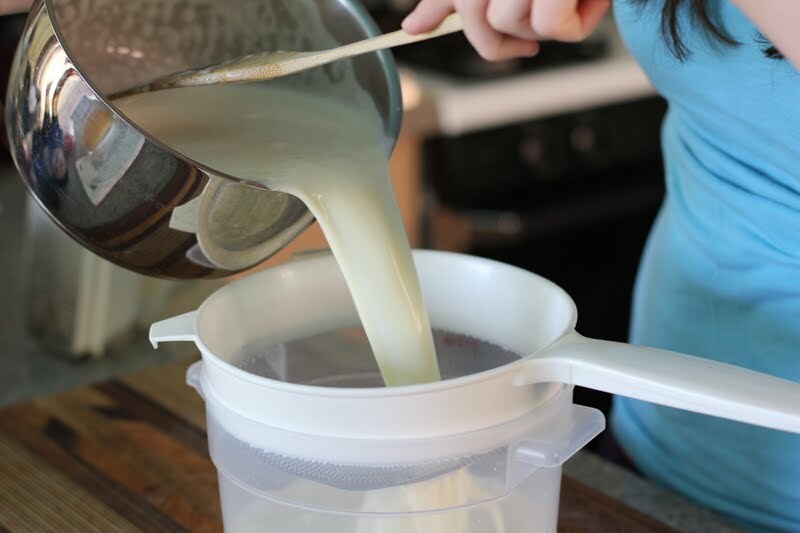 Through a sieve, pour mixture into a covered container, such as a cambro. Add milk and vodka. Stir well. Whisk in vanilla bean paste. Refrigerate until very cold, or overnight. 5. Freeze the vanilla ice cream base following your ice cream manufacturer's instructions. In the bottom of a container (with a tight fitting lid), pour in enough root beer syrup to lightly cover the bottom, about 1/3 cup. Transfer ice cream to the same container, but do not stir. Let the ice cream harden in your refrigerator for about two hours. better. If you add too much the end result will likely taste boozy and in the case with frozen desserts, will not harden properly, so please be careful with your measurements. OMG ! This is soooo awesome !!! Back in the late 70's I was working at the Vendenberg AFB and living in the Ramada Inn in Buelletin and still vividly remember root beer marble ice cream. I remember that Swensen's used to carry that flavor also and used to visit their store in Santa Maria often. I've even visited the Ben & Jerry's factory and put in a suggestion that they make this one of their products. This always seemed to be a popular flavor because many times Swensen's would be out of it. Now they no longer carry it. I don't understand why no one else is producing it either. I wish I could find some again. Trying to make it at home seems like a LOT of work ha ha. Many thanks again for sharing your recipe. Sure brings back old happy memories. Oh my goodness!!! I lived in CA as a little girl and went to that shop. The Root Beer Swirl was MY FAVORITE!! Thank you thank you thank you for this!! I am going to make this ASAP!! I would say it's my favorite too. Always got it at Swensens, San Rafael CA it's still there! Yes they serve it. It's a Swansens store no longer called Swensens. Look up "Silbermann's Ice Cream San Rafael CA. Mmmmm good!! !